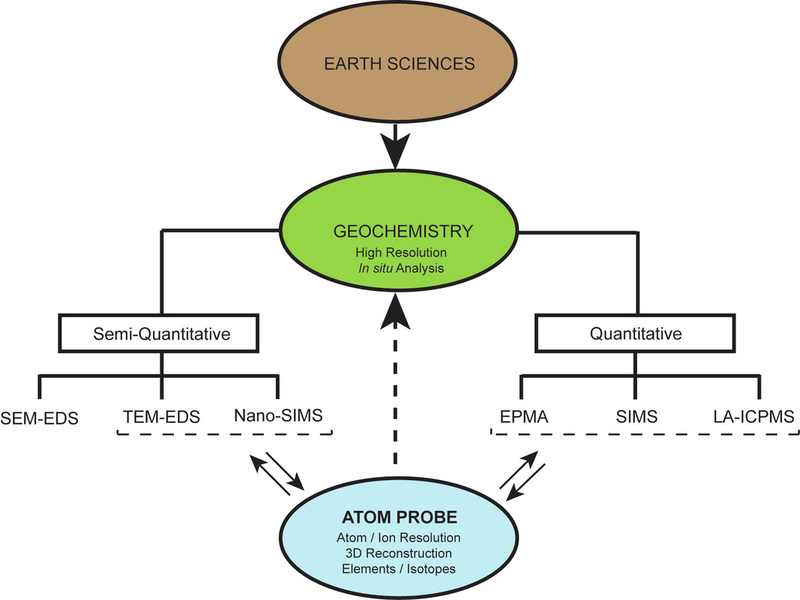 - Improvement of the current knowledge of the geochemical characterization of minerals at the atomic scale. - APT characterization of geological standards. - Development of new geological APT applications. - Sharing APT expertise to address current geologic problems. This research is funded by the United States National Science Foundation (EAR-1402912) and a RGC grant (UA) granted to Alberto Perez-Huerta. The Office of the Vice-President of Research and Economic Development, the College of Arts & Sciences, and the Department of Geological Sciences of The University of Alabama are also acknowledged for support. The University of Alabama Central Analytical Facility (CAF) provides research expertise and in-house instrumentation for this project.